PT Tugu Pratama Indonesia - TPI or referred to as "Asuransi Tugu" is a subsidiary company of state-owned oil giant PT Pertamina (Persero) that is involved in general insurance industry. Asuransi Tugu has strong business focus on loss insurance services related to oil and gas industry as well as marine hull. Asuransi Tugu also offers a wide range of insurance products; health insurance, credit insurance, aviation insurance, credit insurance, fire insurance, transportation and salvage insurance. Currently, Asuransi Tugu is 65% owned by Pertamina Group, 17.6% by PT Sakti Laksana Prima, 12.15% by Siti Taskiyah and 5.25% remaining shares by Mohamad Satya Permadi. Based in Jakarta, Asuransi Tugu runs its business through 6 domestic office networks located at Surabaya, Bandung, Medan, Balikpapan, Semarang and Palembang. Asuransi Tugu also supported by 1 overseas office at Hongkong. 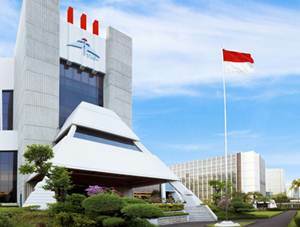 In term of financial performance, PT Tugu Pratama Indonesia is running well in the fiscal year of 2015. According to PT Tugu Pratama Indonesia Financial Report 2015 as cited by JobsCDC.com, Asuransi Tugu reported total assets of Rp 9,091.17 billion in 2015, a 15.43% growth from Rp 7,875.59 billion in 2014. Asuransi Tugu booked total comprehensive income of Rp 445.82 billion in 2015. This reflected an 24.93% increase from Rp 356.84 billion in 2013. Minimum S1 from reputable university with min. GPA 3.00. Have a minimum of 2 years experience as an accounting staff in the general insurance company. Fresh Graduated are welcome to apply. Male / Female, maximum age of 25 years old on 1 December 2016 with a good health history. Strong knowledge about the general insurance industry. Possess certification in AAAIK/AAIK is preferred. Able to work in teams and partnerships. Strong computer skill, especially Microsoft Office and Internet applications. Willing to be placed at Medan Branch Office (North Sumatra). Preferably local resident and living in same city as work location. JobsCDC.com now available on android device. Download now on Google Play here. Please be aware of recruitment fraud. The entire stage of this selection process is free of charge. PT Tugu Pratama Indonesia - Fresh Graduate, Experienced Staff Pertamina Group December 2016 will never ask for fees or upfront payments for any purposes during the recruitment process such as transportation and accommodation.